I’m now running Windows XP on my new Intel-based iMac thanks to Parallels. Previous to this I was using Virtual PC on my pre-Intel Mac, and it worked… slowly… but it worked. I was able to test web sites in IE5, IE6, and IE7 in Windows. It wasn’t fun, but it was pretty much required. Virtual PC for Mac was killed off by Microsoft, which meant I had these virtual machines laying around which were useless, until now. I wasn’t paying attention to virtualization on the Mac until I got the new iMac and my days of using Virtual PC were over. I ended up taking a quick look at VMWare’s Fusion, which is in beta now and available for pre-ordering at a reduced price. It looked interesting, but as I did more research, it became clear that Parallels was exactly what I wanted. Why? Because of Transporter. 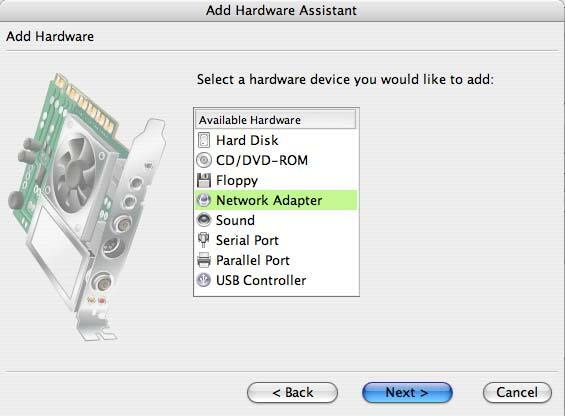 Ok, so I finally figured out that in Parallels I had to go under Edit to Virtual Machine… and add a Network Adapter. I guess the original Virtual PC machine did not have a network adapter or something? I don’t know, but I did this to all the machines I migrated and they were all good after that. So now I am running Windows. On my Mac. Again. Let the IE testing and swearing begin! Posted on Saturday, July 21st, 2007 at 8:30 am. Subscribe to the comments feed. Both comments and pings are currently closed. Post on your own blog.